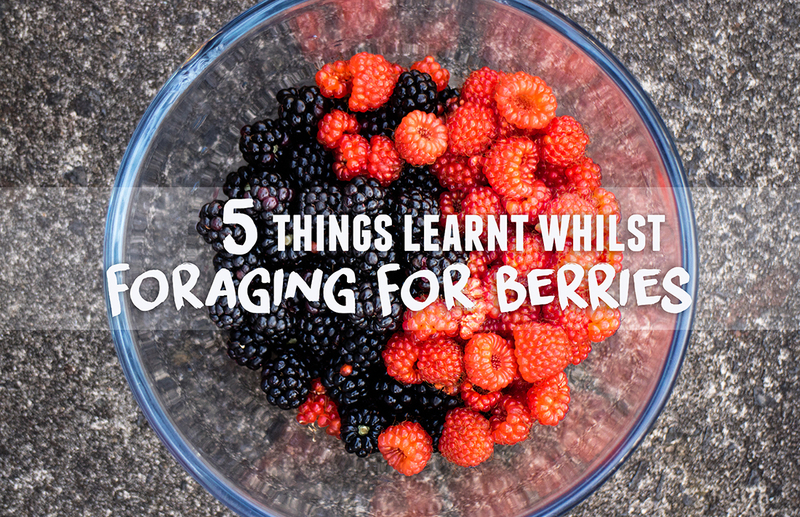 Last year I posted about going to one of those Pick Your Own farms, and picking berries. I always tell myself that I should just grab some from our local fields, woodlands and the like, because there’s actually tons about. 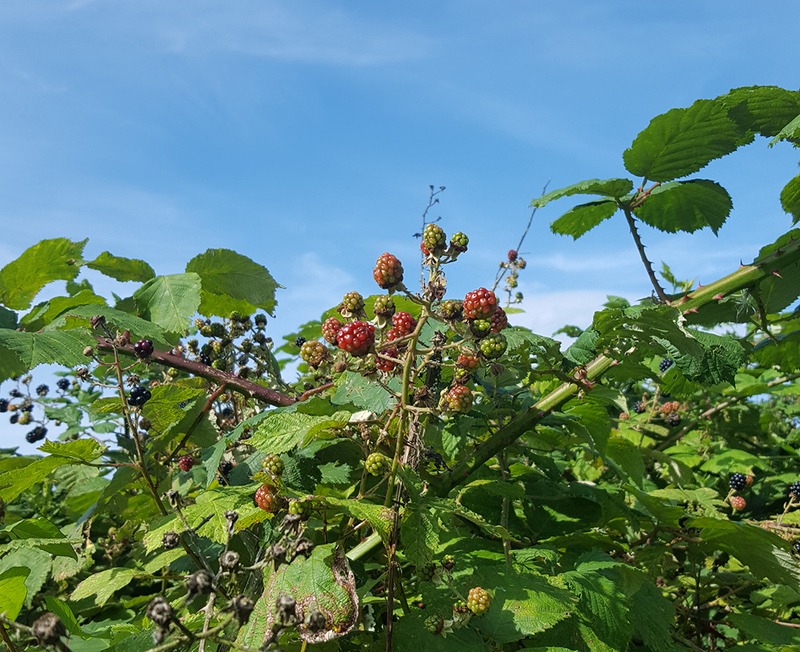 On every run I pass dozens of blackberry and raspberry bushes – I even pass some on my way to work every Weds/Thurs – and I’m always tempted to grab one. Well, I finally did it. 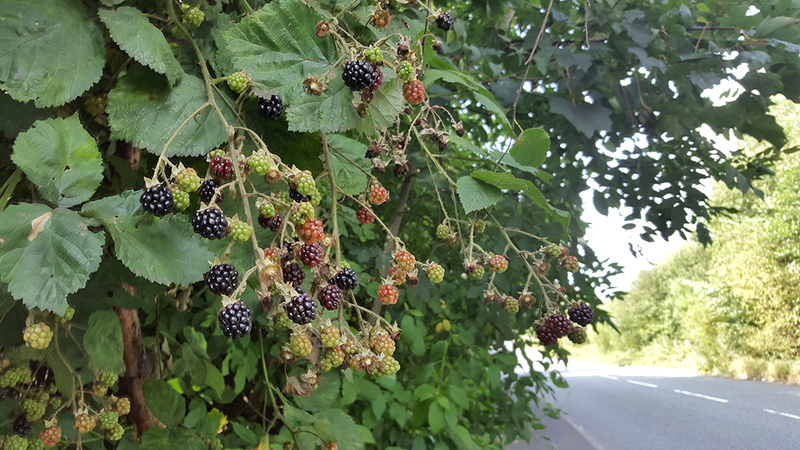 They say to pick the higher berries when foraging in the wild as there’s always the chance that a furry animal has done its business on the lowest. Makes sense, right? Well I definitely stuck to the higher ones. Those I could reach. 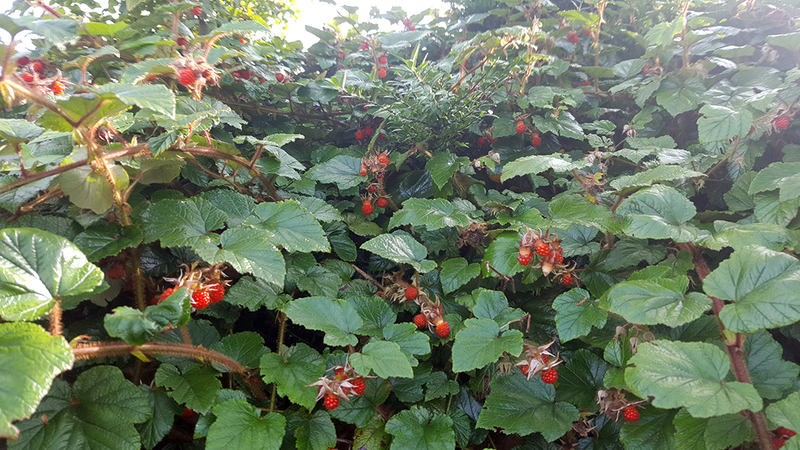 I found plenty, but it was still heartbreaking to see some really juicy looking berries just out of my reach. Next time: take a tall person. 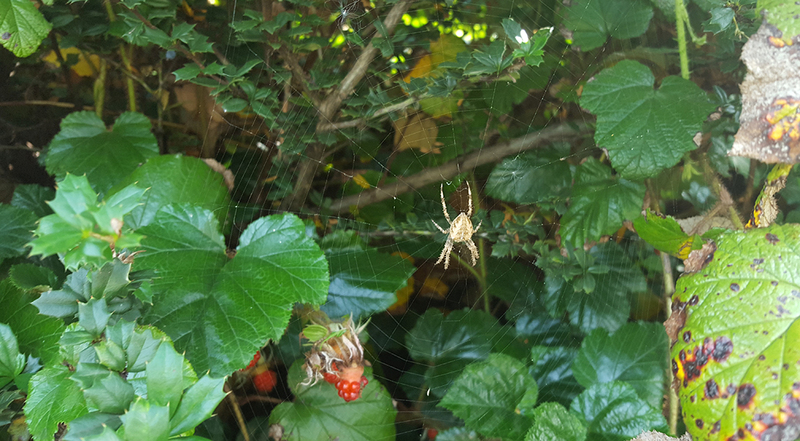 Bees, wasps, spiders, daddy long legs… Yep, I saw them all whilst gathering these berries. I spotted a HUGE garden spider, and well, it’s safe to say I avoided that area completely once I’d seen it. Very nearly stuck my hand right through the spider web! I’ve linked a photo because I know some people are scared of spiders and I didn’t want to upset anyone! Can’t remember the last time I saw one this big. I’m personally not really bothered by bugs, but if you are you may want to stick to shop bought berries… (Or, as I would recommened – take someone who isn’t afraid!) Next time: be more aware. I didn’t have any of these. Thankfully, I only got nettled on one finger (that stung for hours afterwards!) but I also managed to get a thorn stuck in my finger too. I didn’t crawl too much into the actual bushes, but I would have done if I had clothing that covered me properly. Next time: wear more. Yeah so as this was an impromptu foraging session, all I had was two water bottles on me. I just had to make do with those. 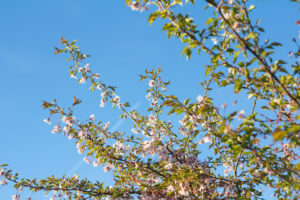 You’re only supposed to take around 1/3 of the plant, and avoid any that haven’t got many fruits. 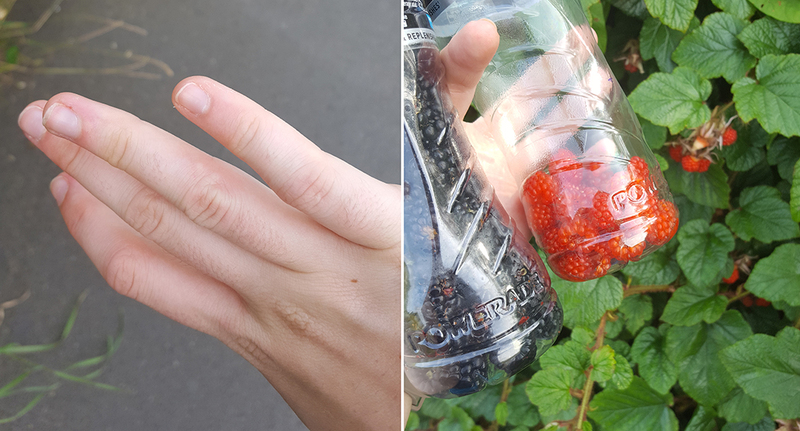 I managed to fill a bottle with blackberries from a few different plants and areas, but there were so many more I could have taken. Next time: take some tupperware! Yep. 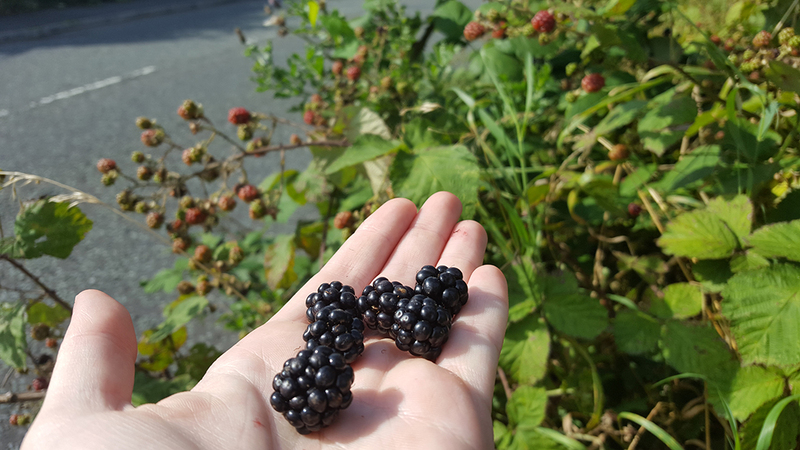 I collected most of the blackberries from bushes along an off road path so that was fine. The rest were found on the roadside, as were the raspberries. Plenty of people in cars having a good look at me as they drove past. I had a couple of dog walkers look at me with confused faces, kids also with confused faces, old people telling me to watch the sticky out branches didn’t scratch my ‘lovely arms’. Just ignore them and carry on picking – you’re the one getting rewarded with juicy fruits after all! Next time: eh, do the same – keep on picking.